Titon Mitra, UNDP Country Director in the Philippines and Jim McCue, Citi Shared Services Asia Pacific/Japan Head and Risk Shared Services Manila Head (3rd and 4th from left) with #HackSociety winners (L-R) Krizia Lucero of Tuto Club, Keisha Mayuga of LawKo, Leah Sasing of Phinix and Angel Aniag of Arooga Health. Participants to the Youth Co:Lab flash their respective placards that represent the different development goals set forth by the UN. *Pathways to Progress is Citi and the Citi Foundation’s response to the persistent issue of youth unemployment globally. Led by the philanthropic efforts of the Citi Foundation, and strengthened by the active involvement of dedicated Citi volunteers, the Pathways to Progress initiative supports programs that help young people, ages 16-24, build an entrepreneurial mindset, acquire leadership, financial and workplace skills, and begin to engage in the formal economy through a first job. 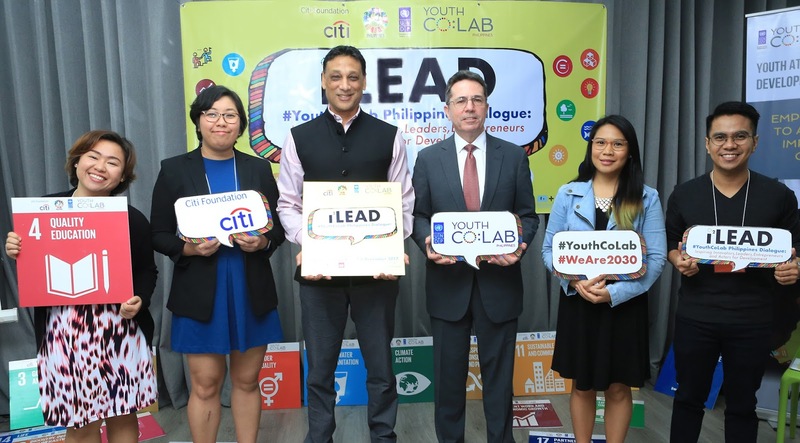 In February 2017, the Citi Foundation announced it would expand its philanthropic commitment to empowering urban youth with an additional $100 million investment to impact the lives of 500,000 young people in cities around the world by 2020. 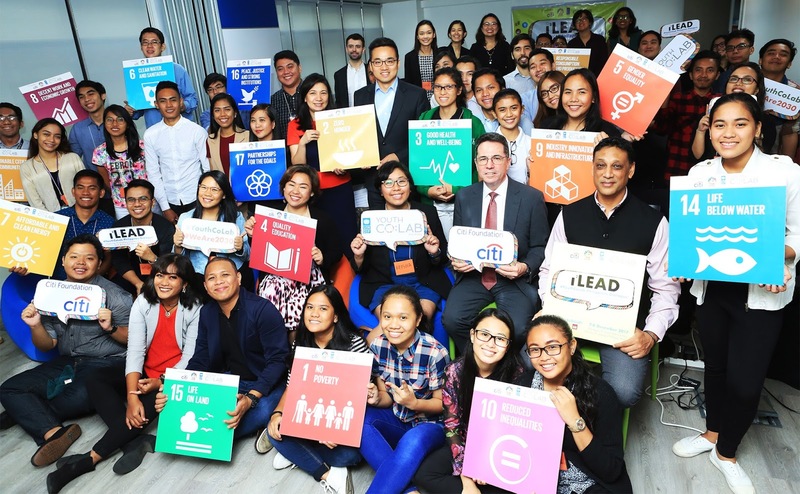 To support these efforts, Citi is mobilizing 10,000 Citi volunteers to serve as mentors, coaches, and provide professional advice to help young people move towards their career goals.